• Recommendations for FOCE systems are proposed based on past experience. • Field testing the system design is essential; a backup power supply is recommended. • Replicate treatment enclosures; focus on a core set of common scientific hypotheses. • Accurately monitor carbonate chemistry; allow sufficient time for CO2 equilibration. Free Ocean CO2 Enrichment (FOCE) experiments are a relatively recent development in ocean acidification research, designed to address the need for in situ, long-term, community level experiments. FOCE studies have been conducted across different marine benthic habitats and regions, from Antarctica to the tropics. Based on this previous research we have formed some core operating principles that will aid those embarking on future FOCE experiments. FOCE studies have potential to provide important insight into the effects of ocean acidification that can add to or refine conclusions drawn from laboratory or single species studies because they are conducted in situ on intact assemblages. 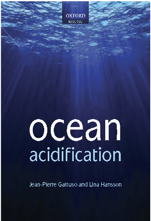 Scaling up from sub-organismal and individual effects to also include indirect impacts on the ecosystem and ecosystem services, make FOCE experiments essential in filling in current knowledge gaps in our understanding of ocean acidification. While FOCE systems are complex, relatively costly, and somewhat difficult to operate, the challenges they pose are tractable and they have proven to be a useful approach in ocean acidification research. The aim of this paper is to draw from the experiences of past FOCE experiments and provide practical advice for designing, building and operating a FOCE experiment. Some of the most important recommendations include: field testing the system design; having a backup power supply; using replicate treatment enclosures; monitoring and maintaining the chemistry appropriately; allowing sufficient time to achieve near CO2 equilibrium conditions; and having a scientific focus with a core set of hypotheses. Future FOCE experiments could focus on longer durations, multiple factors, and testing more intact benthic marine communities and ecosystems. We hope this paper will encourage further FOCE deployments and experiments, as well as provide some guidelines to improve future FOCE studies and advance ocean acidification research. Stark J. S., Peltzer E. T., Kline D. I., Queirós A. M., Cox T. E., Headley K., Barry J., Gazeau F., Runcie J. W., Widdicombe S., Milnes M., Roden N. P., Black J., Whiteside S., Johnstone G., Ingels J., Shawk E., Bodrossy L. & Gattuso J. P., in press. 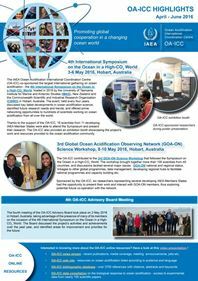 Free Ocean CO2 Enrichment (FOCE) experiments: scientific and technical recommendations for future in situ ocean acidification projects. Progress in Oceanography. Article (subscription required).